Ahoy Pirates! 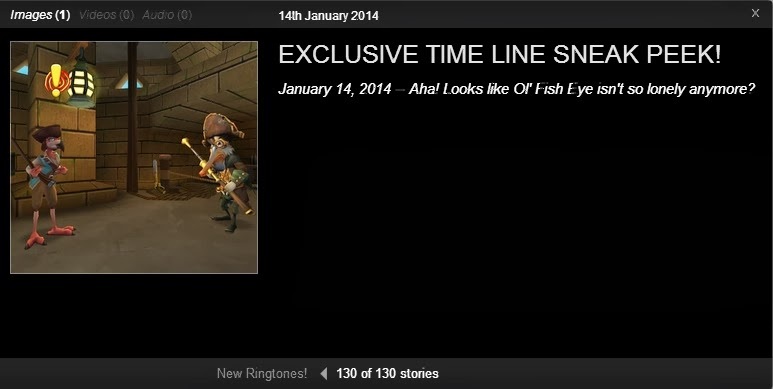 Seems Pirate101 is letting a sneak peek out of Ol' Fish Eye's with his new buddy Wonder what his name is??? This little fellow looks really interesting , maybe for new talents for Musketeers? Maybe this NPC will lead us to new places to adventure. 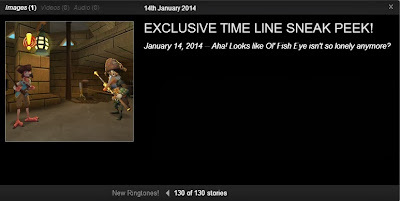 To check out the full game time line go to Pirate101 Game Timeline.